Picture a place so peaceful, so scenic, and yet so full of life it not only draws you back year after but also seems to seep into your very soul. The natural beauty of the Lowcountry is as legendary as its gentle climate, breathtaking beaches, and the treasures of its historic coastal towns. The pace of life is slower in the Lowcountry. People are warm, friendly and easy to know. For many, the region is the getaway destination of choice, but for a fortunate few, it is home. 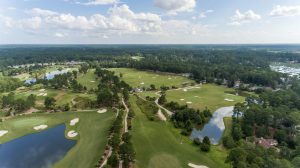 Berkeley Hall Club is a private gated golf community edged on the banks of the pristine Okatie River in the heart of the Coastal Lowcountry – a world with a casual, inviting lifestyle that sets the standard for all private communities. Member-owned and operated since January 2005, Berkeley Hall is debt-free and maintains a multi-million dollar capital reserve. 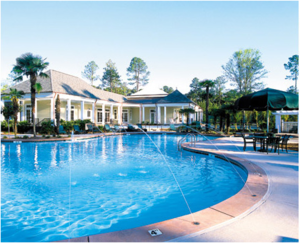 The community is ideally located – just minutes from Hilton Head Island, within a half hour’s drive of historic Beaufort, South Carolina and Savannah, Georgia; and within two short hours of Charleston – offering an endless universe of world-class cuisine, shopping, and attractions combined with fine Southern charm. 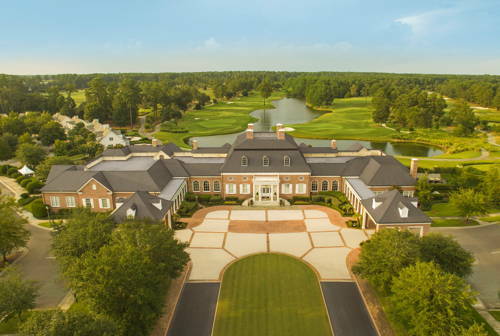 Voted “One of America’s 100 Premier Properties” by both Links Magazine and Travel & Leisure Golf, Berkeley Hall is a private world with a casual, inviting lifestyle that sets the standard for all private communities. Its surroundings, its natural beauty, and the way the place lives are simply beyond compare. Golf in its purest form awaits you at Berkeley Hall, the most distinguished private golf club in golf-rich Hilton Head area. Great golf is the very heart of Berkeley Hall. With no interior homes or roads, roads, two Tom Fazio core courses meander through an open coastal landscape framed by seaside grasses. This pure golf, says Fazio, is akin to courses like Merion, Winged Foot and Seminole. A round of golf feels like a walk in the park rather than a ride through the subdivision. Dramatic elevation changes, beautiful water features, and bold strategic bunkering showcase the designer’s artistry. The two Berkley Hall golf courses offer distinctively different challenges. The North Course at Berkeley Hall showcases Fazio’s artistry through unexpected elevation changes ” not usually found in a Lowcountry course ” throughout the refreshingly open coastal landscape, tranquil lakes and strategic bunkering. Bentgrass greens are large and contoured. The dramatic features carved along the tideland treasures of the Okatie River make the North Course at Berkeley Hall one of the finest Fazio has ever designed, according to the designer himself. The South Course at Berkeley Hall is more of a classic Lowcountry golfing experience with tree-line fairways winding through a mature forest of pine. This parkland style, along with beautiful water features and contoured, but slightly smaller greens than the North Course, make it a shot-makers delight. The Berkeley Hall Golf Learning Center is home to both PGA professionals as well as hard-driving amateurs. Its 30+ acres boast laser systems, video and PGA staff, and weather-protected, climate-controlled practice opportunities, among other things, so you can practice your swing year round, rain or shine. Housed in a 2,000 square ft. building, the facility includes: four climate-controlled hitting bays; a Super Bay with four video cameras and flat-screen televisions; a mobile canopy structure allowing practice, regardless of the weather; a short game complex with four large practice greens; and Tru-Putt indoor putting with mirrors and a laser system. Fazio also envisioned, along with the practice facility and Learning Center, that there should be a lounging space for players to relax. The casual, yet plush, Fazio Room is such a place offering members a space for socializing, watching sporting events and enjoying the ever-present complimentary refreshments. To complete this pure golf experience, instruction is at your fingertips with two award-winning professionals on-staff. Berkeley Hall Club is also home to The Players Amateur which showcases the top amateurs in the world each year. The Players Amateur alumni have distinguished themselves in the world of professional golf. More than 25 are now playing on the PGA Tour, having earned over $46 million in prize money including: Matt Kucher, Bill Haas, Ben Curtis, Dustin Johnson, Camilo Villegas, Rickie Fowler, Nick Watney, Lucas Glover, Johnson Wagner, D.J. Trahan, Kyle Stanley and more. The spa and fitness center sets a lofty standard in terms of equipment and services. The facility includes an indoor pool and whirlpool, cardiovascular strength equipment, pilates and yoga rooms, sauna and steam rooms, spa treatment areas, and a specialty coffee and juice bar. Adjacent to the center are tennis courts, outdoor pool with private cabanas, a children’s playground, basketball courts, and a sand volleyball court. Berkeley Halls boasts some of the BEST food among the private clubs in the Lowcountry. There are 6 distinct dining areas in the clubhouse alone, including a Tuscan Wine Cellar, The Berkeley Room, The Tap Room, The Mixed Grille, The Veranda, and even the Men’s Locker Room features a daily breakfast for the early golfers. Every Sunday night the clubhouse has a casual pasta and prime rib night which allows members to unwind from their busy weekends of golfing and socializing! Berkeley Hall offers something for everyone- from golf cottages to lock & leave lifestyle cottages, lifestyle homes, estate and waterfront homes, homesites, and new construction. Please inquire for more details to determine which one best fits your needs.